Add the oil into a large saucepan and let it heat to 350 degrees. I used a candy thermometer to keep an eye on the temp. Once the oil is up to temperature, add in 1 - 2 taco coats. Let it brown up for 1 minute and flip. Let it brown up on that side for 1 minute. Drain and place on a rack or plate lined with paper towels. Repeat with all taco boats. Some may get air bubbles, it's nothing to worry about. Place the shells on a sheet pan. Mix the chili dark chocolate and milk chocolate together. Add about 1 tablespoon to each taco boat. If there's extra, divide it amongst the taco boats to evenly distribute it. Add a nice pile of marshmallows on top to cover all of the chocolate. It took about 7 - 10 marshmallows. Place the boats into the oven and let it bake for 10 - 15 minutes until the marshmallows are golden brown and the chocolate is melted. 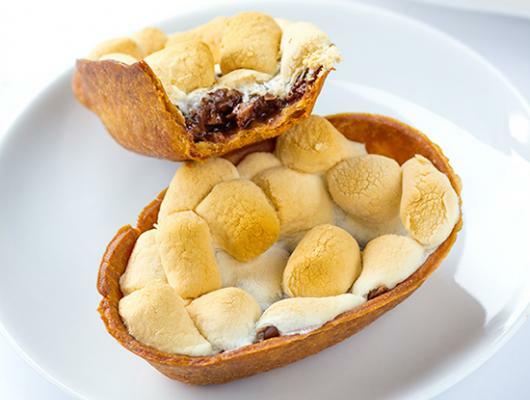 Chili Smores Taco Boats - spice up your game day appetizer with these chili smores taco boats. 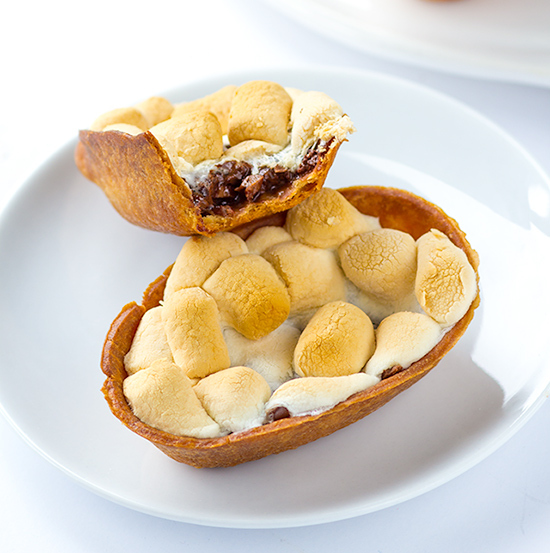 The gooey marshmallows, melted chili chocolate, and fried crunchy taco boats.